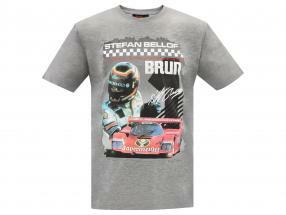 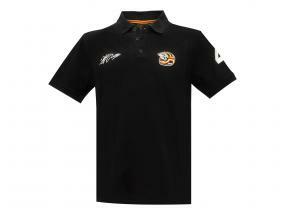 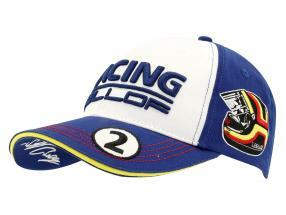 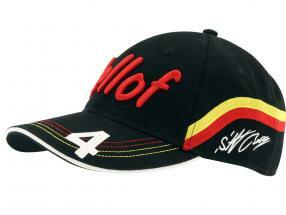 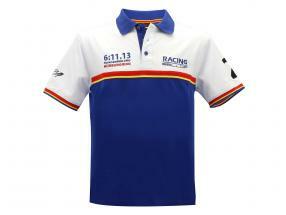 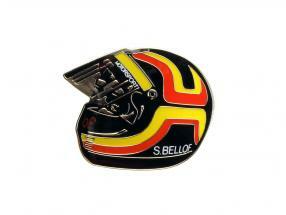 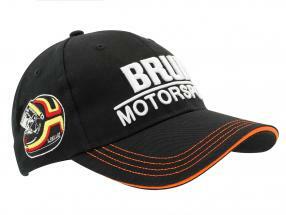 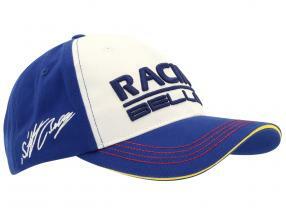 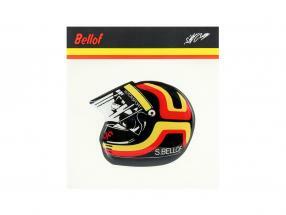 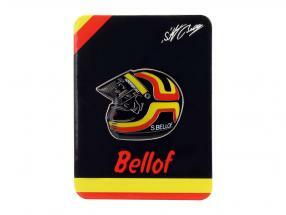 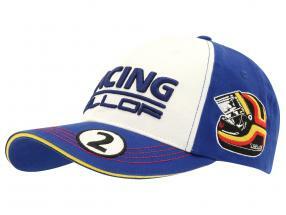 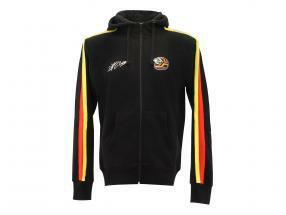 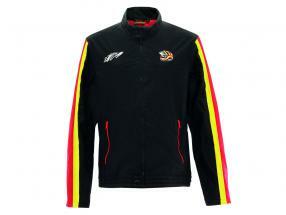 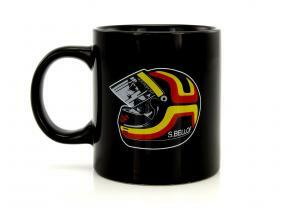 Stefan Bellof Classic Line "helmet"- based on the distinguished helmet design with black as the primary color, contrasted with red and yellow stripes. 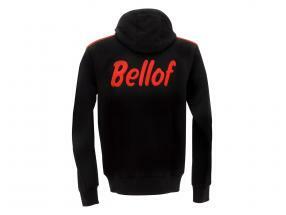 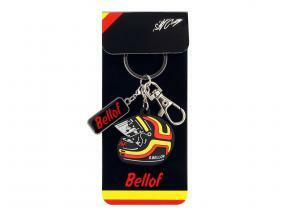 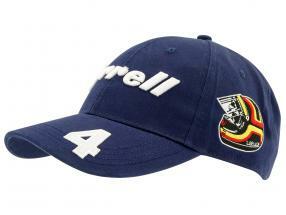 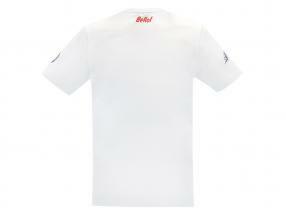 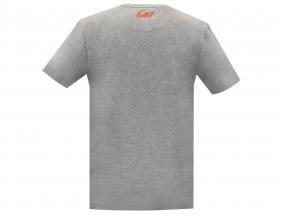 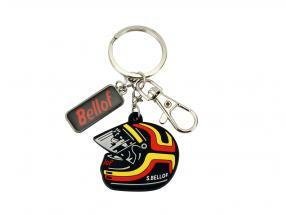 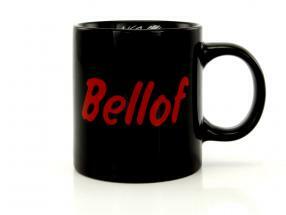 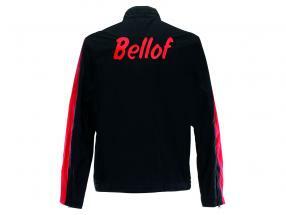 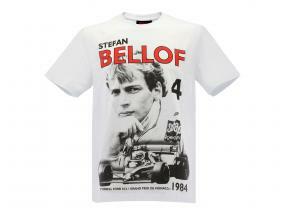 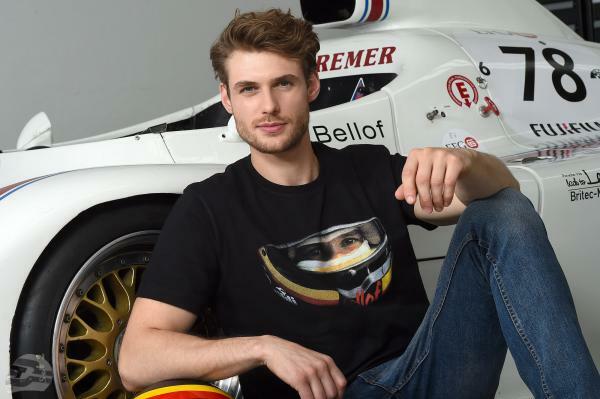 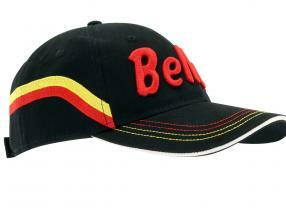 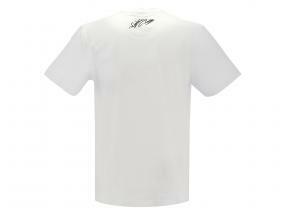 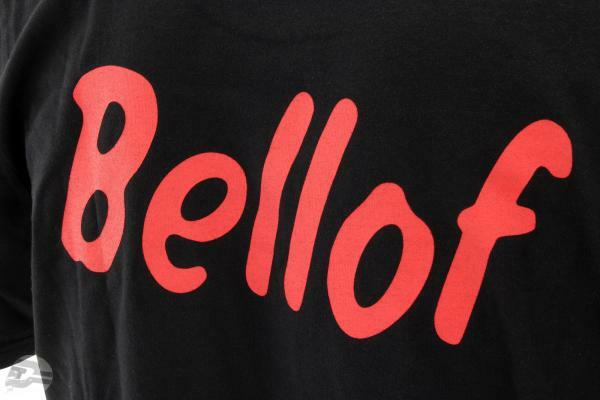 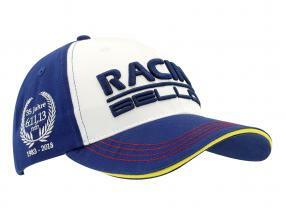 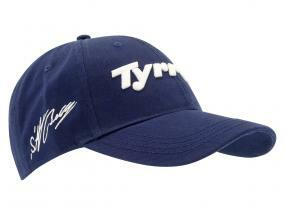 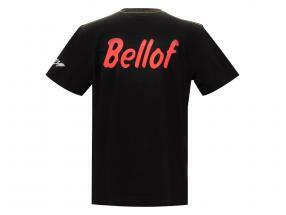 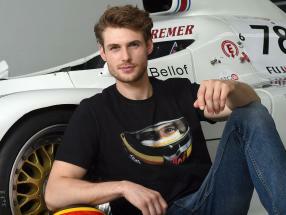 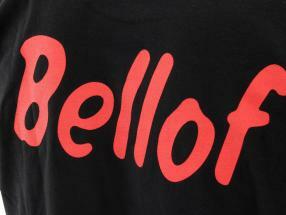 The name Bellof is in the form of the typical red lettering which is also a characteristic the classic line. 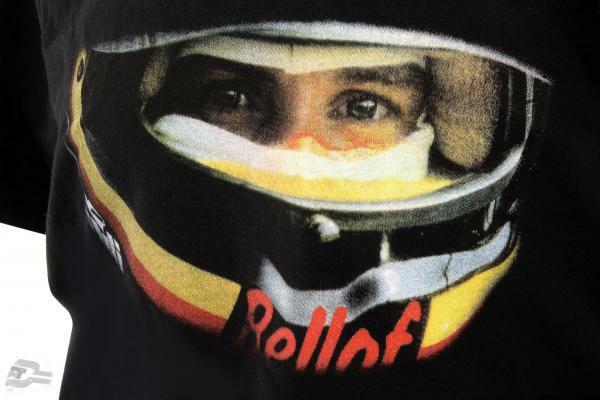 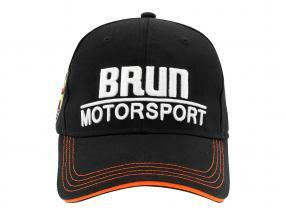 The helmet is printed on the front. 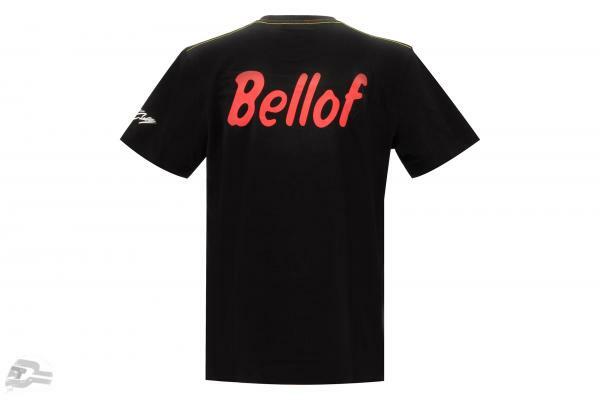 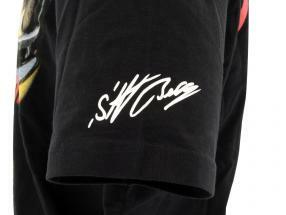 On the back, the inscription Bellof is printed. 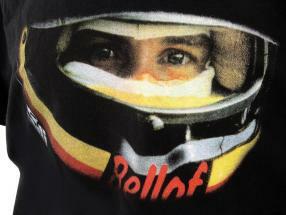 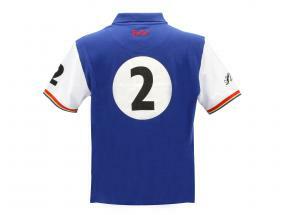 Stitches are in contrasting yellow and red as in the helmet design.